The winter is a time when things slow down enough for us that we can focus on adding new properties to the site (and weed out some that we don’t think represent the best options to our guests). 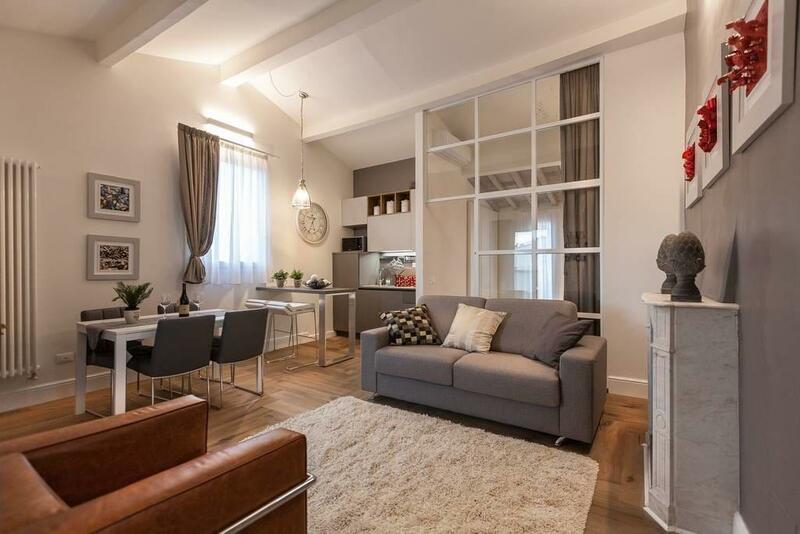 Over the years we’ve a seen a bit of a pattern emerge where an individual who does well renting their apartment scales up, adding other people’s apartments too and becoming a small property manager. On some sites, like Airbnb, this can seem misleading to guests, when you expect to stay in someone’s house, and instead are staying in one of many vacation rentals that are operated as a business. 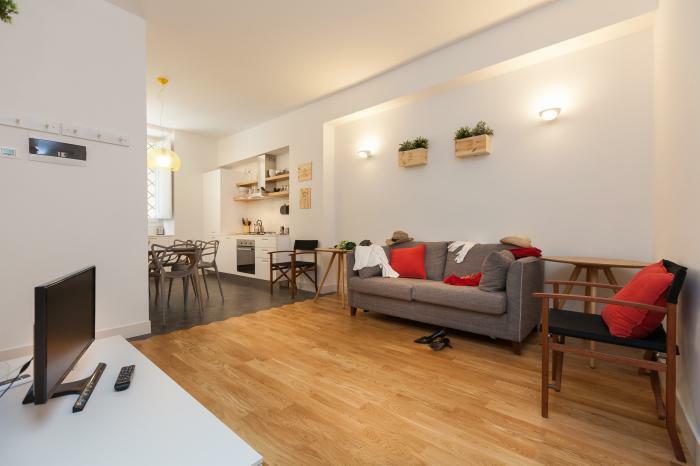 For us, however, we welcome this, partly because we want to only work with professionals (whether renting 1 apartment or 10 – being professional is a key element) and also because if people are good at what they do, and doing well, they should grow and expand. In some ways, it easier to manage 10 properties well with a small team who can do checkins, clean, repairs, and divide up the time so someone can always be on call, than to manage 1 apartment by yourself. 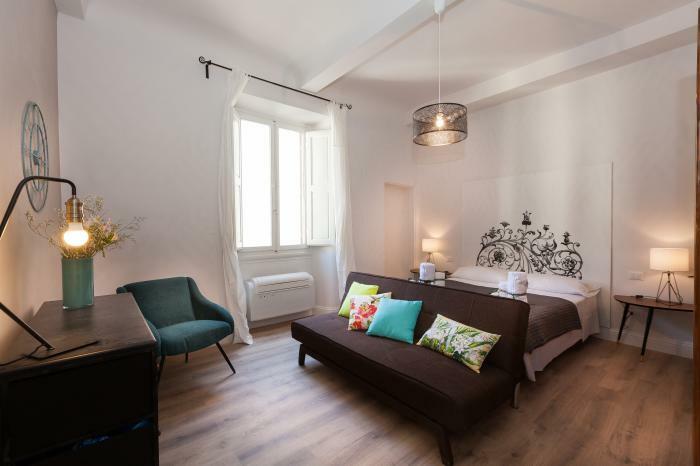 In the case of these new apartments in Florence, they are all managed by a local company called Etesian, founded by a former personal trainer in 2012. 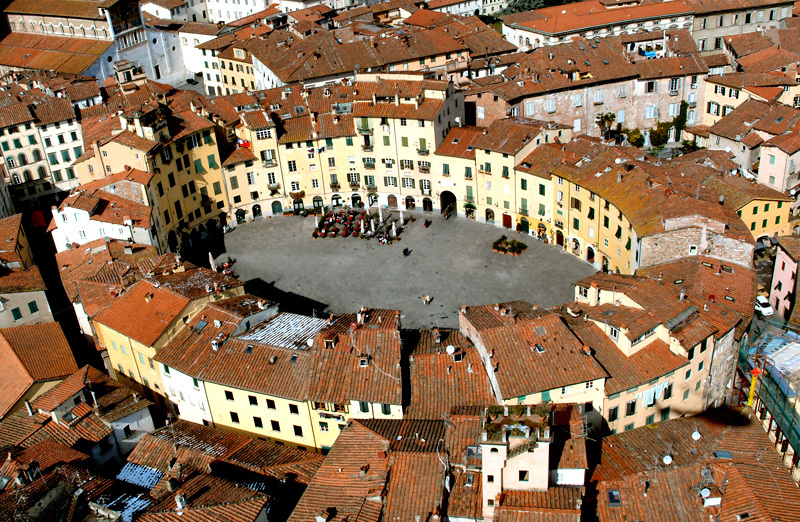 They manage 16 properties on the site (a number that is constantly growing) in the center of Florence – divided between the Oltrarno, the San Lorenzo market and Piazza Santa Croce – in other words, all in the center and close enough to each other that between them, they can manage check-ins, maintenance and emergencies quickly and efficiently. 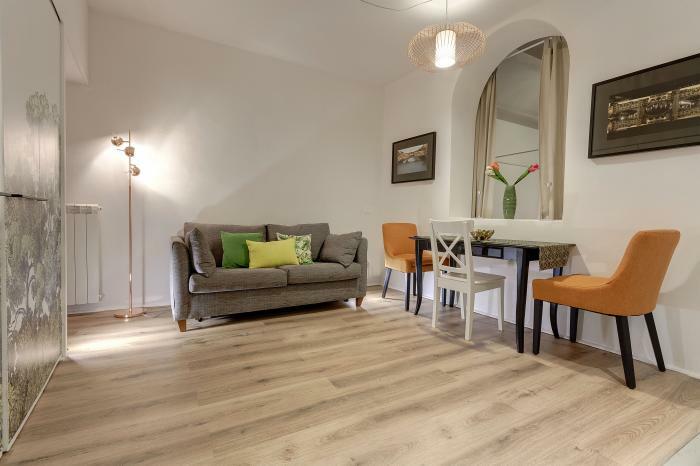 We’ve worked with them for years and have always found them to be fair, efficient and professional, and their apartments are all recently restored and well thought out so that they combine the amenities people want, a good sense of design that’s pleasing visually but also functional. Keep in mind that their availability is all synched in real-time so when displayed on our site in a search, they are definitely available. Prices published are for high season (April through October) for the entire flat, regardless of the number of guests, and discounts are offered in March, August and between November 1st and February 28th (excluding Christmas and New Years). 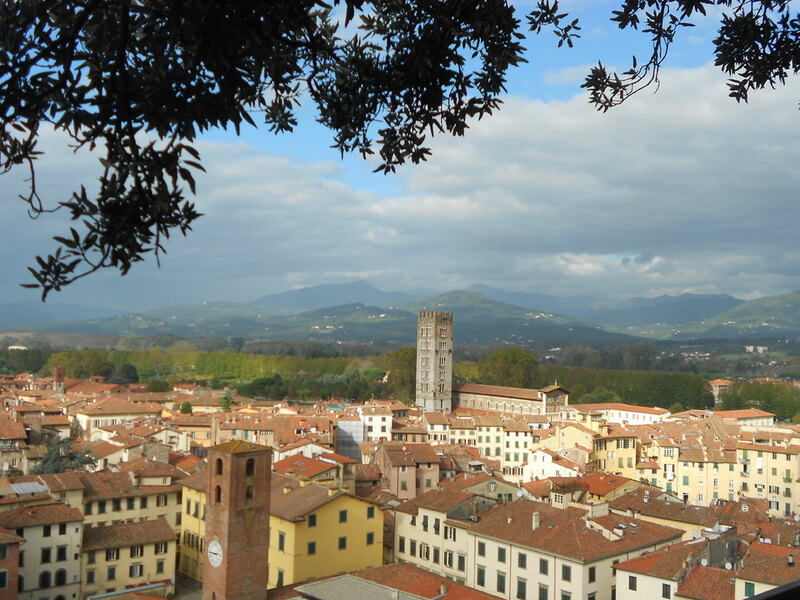 We’ve just discovered a service in Florence that stores luggage for you – the only one in the historic center of the city! Just drop your bags off at their location a couple blocks from the Duomo and they’ll securely store the luggage for you and even drop it off for you at your accommodation — or you can pick it up at the same place, if you’re on your way out of the city. It’s open daily and costs €1/hour or €6/day. 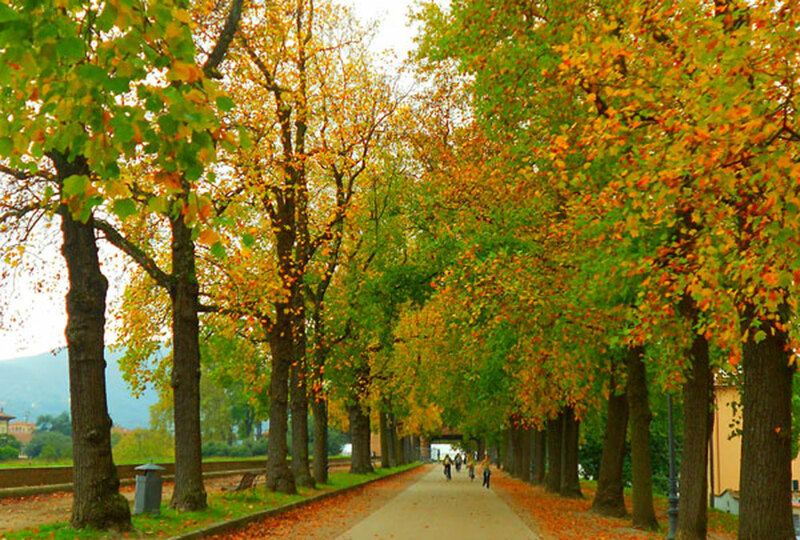 Recently, Steve and I had the rare opportunity to spend a couple of kid-less days in Florence. 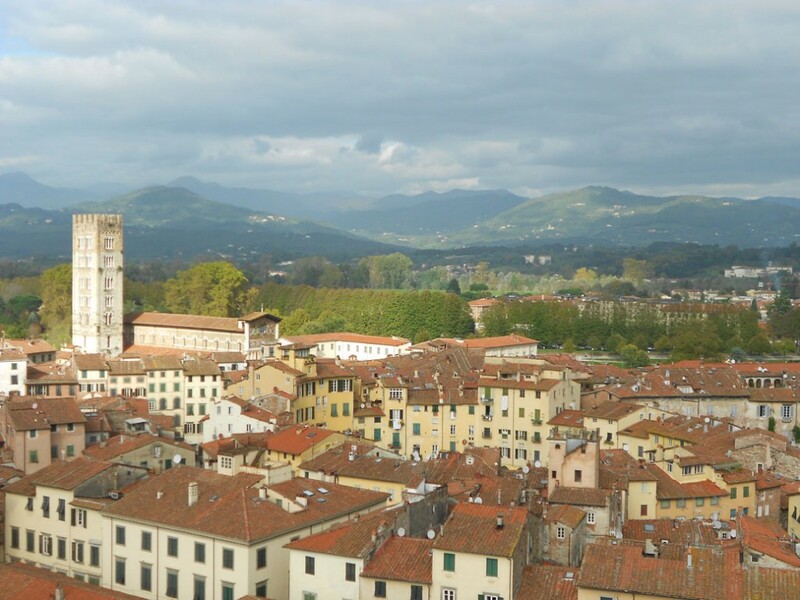 Besides some train stopovers, I hadn’t truly visited Florence since 1995 and Steve needed to get some cross-pollinate work done – visit with some owners and inspect some new properties. With the help of our good friend, Toni, who offered to stay with our three young daughters, we were able to have a couple of precious days away on our own. 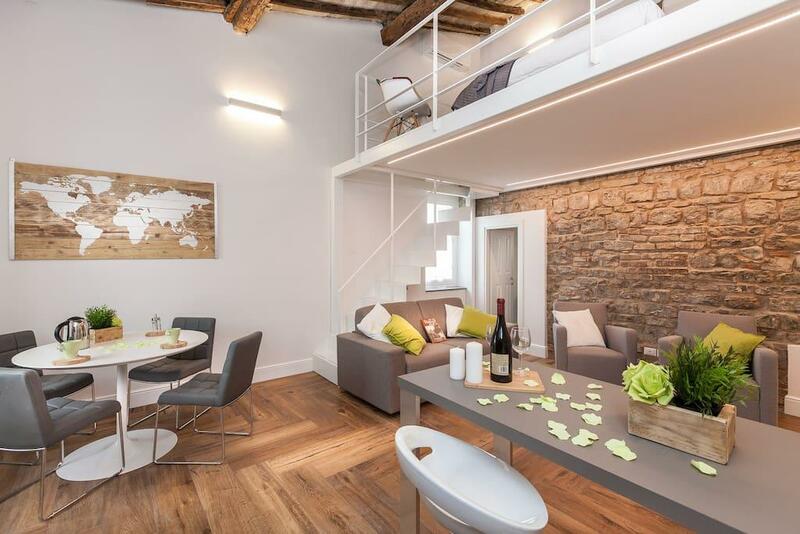 We stayed at a cross-pollinate property, Ponte Vecchio Suite apartment. 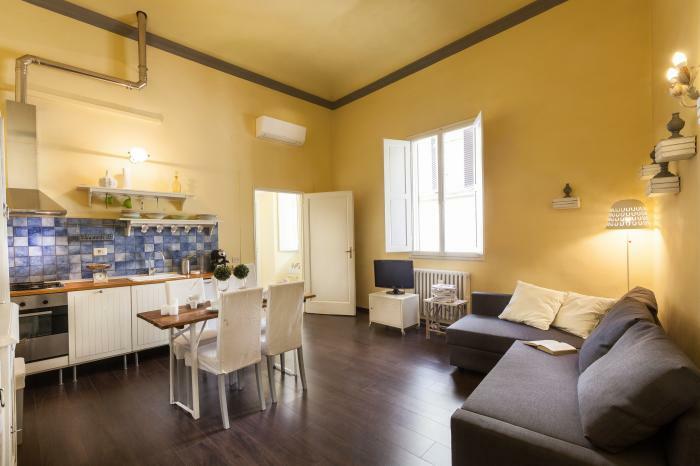 It’s a cute and well-maintained property just a 5 minute walk from the Ponte Vecchio bridge in the Oltrarno neighborhood. 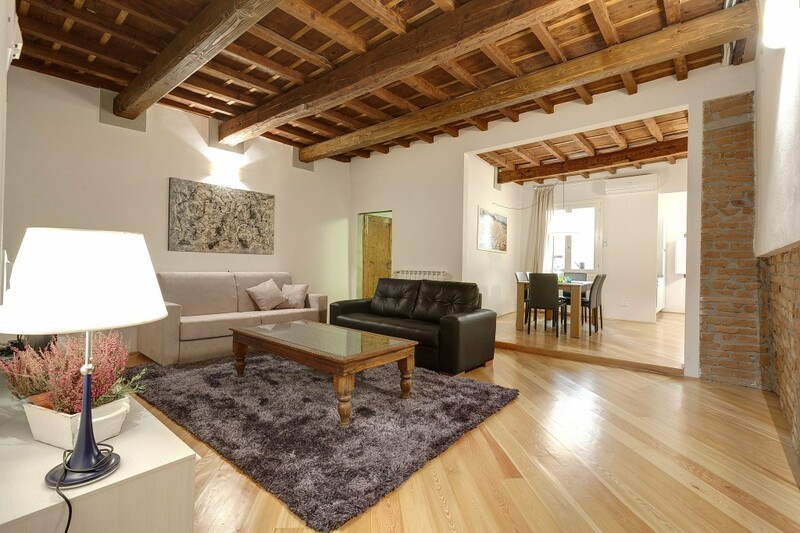 I immediately took a liking to this area which is the artisan neighborhood of Florence. 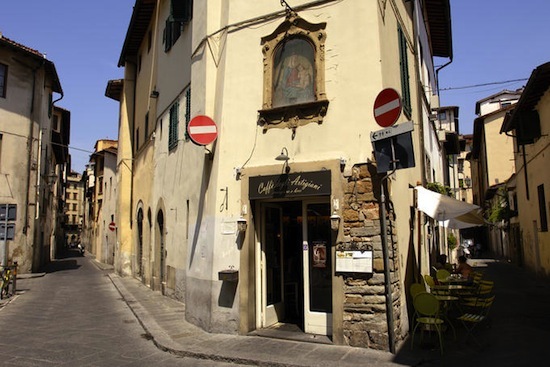 Just around the corner from Ponte Vecchio Suite we found Caffe degli Artigiani, a bar on a small, quiet piazza that I immediately dubbed “our bar” and knew we would be going there every day for our morning cappuccino. While the apartment has a kitchenette, Steve was on holiday from cooking and I was on holiday from washing dishes, so we knew we would be eating out for the two days we were in Florence. Our family is vegetarian, so traveling offers an opportunity to check out the veggie offerings in the place we are visiting. One of the on-line sources I check when going to a new city is Happy Cow, an on-line guide (they also have an app) that lets you find vegetarian, vegan, vegetarian friendly restaurants and natural food shops in that town. 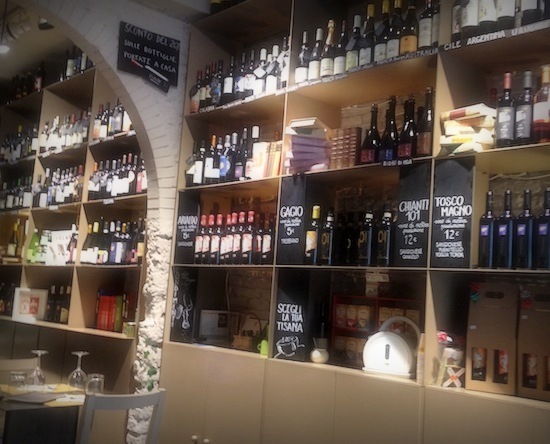 Our first food break was lunch and we headed to Steve’s favorite which he discovered on a past trip to Florence, 5 e Cinque, Piazza della Passera, 1 – coincidentally in the same piazza as my new favorite coffee bar. 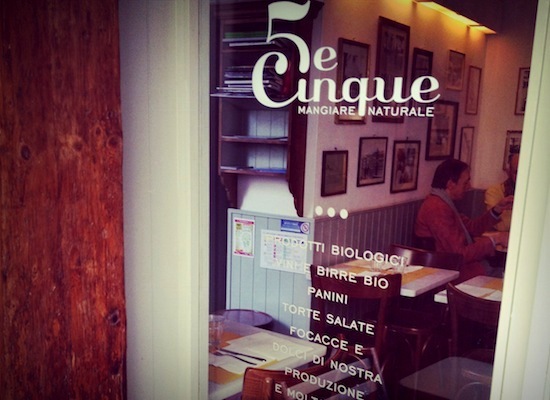 5 e Cinque is an organic restaurant, mostly vegetarian, but they do have meat options. 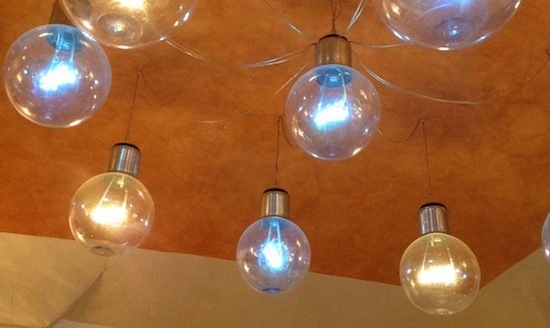 Their food is inspired by traditional dishes and ingredients from the region of Liguria. Steve and I usually try to get two different dishes so we can share. I got the curried chickpea polpette (polpette usually, meat, but means anything ground and then formed into balls) served on basmati rice and Steve got a farro (spelt) dish made with radicchio and a walnut pesto. 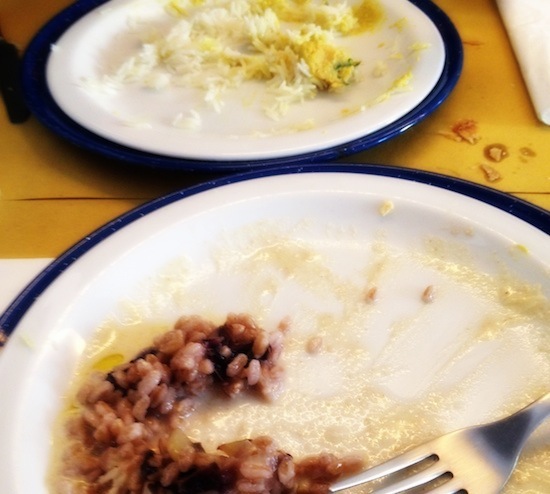 As you can see from the photo, it was so delicious that we had nearly cleaned our plates before I considered taking a photo of them! 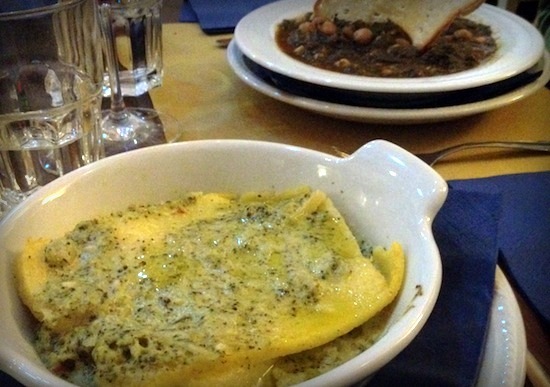 I highly recommend – definitely a restaurant to include on any vegetarian (or even non-vegetarian) tour of Florence. After lunch, Steve had a cross-pollinate appointment and so I decided to take a walk around the city. I ended up heading toward the synagogue of Florence which is a beautiful building with a gorgeous green copper dome. On my way, I had an urge for a little something sweet and a hot drink and ended up at Caffelatte also known as La Latteria which uses organic milk and offers fair trade coffees and teas. Nothing fancy here and the place seems a bit run down, but I was excited by the cakes and treats in the cabinet and so I ordered a slice of a type of pound cake and a caffe latte. Unfortunately, I left unimpressed. The cake fell in that realm of many Italian pastries – looks great to the eyes, but a different story when you actually put it in your mouth. The cake was stale and hard, but at least the caffe latte was good. Update 18 May 2015: it’s come to our attention that BVeg is no longer in business. Dinner that night was at BVeg which I found out about through Georgette Jupe’s great blog, Girl in Florence. I had a dish with polenta with layers of pureed broccoli and Steve had a soup with chickpeas and algae. Both were delicious. The next day, our last day in Florence, we tried to have lunch at Cuculia, via dei Serragli, 18r, but after sitting down and ordering some water, were told that there was a problem and a delay in the kitchen with the stoves lighting and since Steve had an appointment and didn’t have loads of time for lunch – we decided to pay for the water and find another place to eat. Lucky for us, just around the corner was Vivanda, via Santa Monaca, 7r. We both had the lunch special which was a soup and pasta dish. 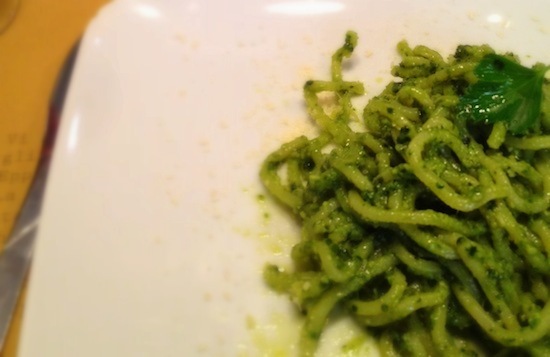 We started off with a mushroom, cannellini and cabbage soup followed by a spaghetti alla chitarra pasta with a kale pesto. We had some great organic wine to go with it. Our final night we went to a non-vegetarian specific restaurant, il Santo Bevitore, via di Santo Spirito, 66 for dinner. 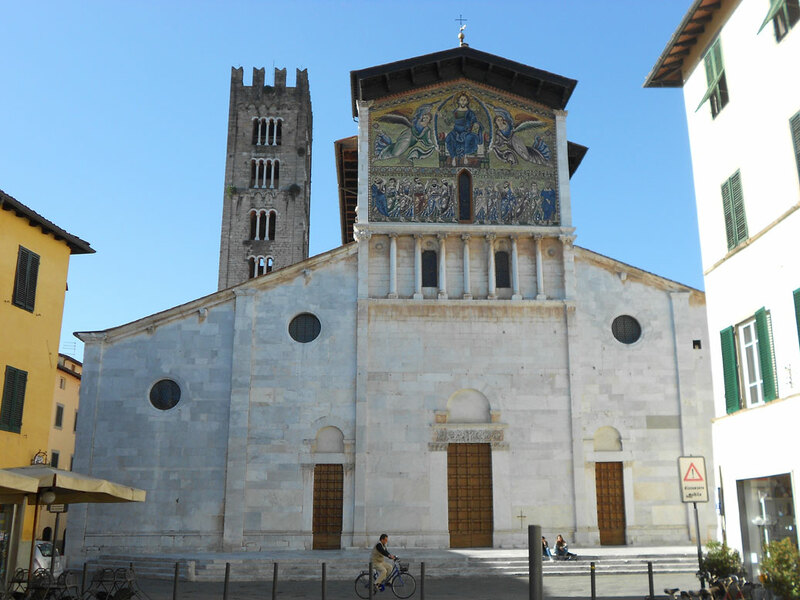 About a year ago, Steve had been on an excellent Context Travel tour which features the artisans in this area and the docent who led that tour had told him about il Santo Bevitore and had highly recommended it. 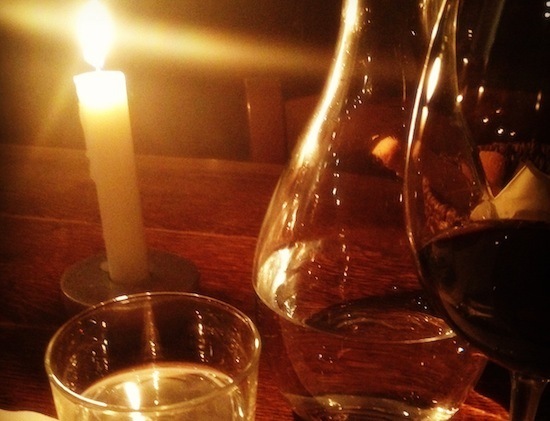 It was a Friday night and we hadn’t made a reservation, but we arrived around 7:30pm and with our assurances to the staff that we would not be occupying the table all night and could be out by 9pm, we managed to get a table. We started with some vegetables preserved in oil – sundried tomatoes, onions, eggplant, etc. 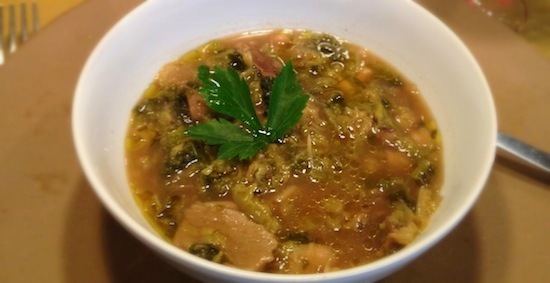 We had a great meal – my ribollita was not really that soupy, but tasted great. The wait staff were all very accommodating and pleasant – we got into a great conversation with a waiter who is originally from Togo who has lived in Florence for 20+ years. The meal was our priciest in Florence though – we paid double what we had at the other restaurants, but it was a nice little splurge our last evening there. The next day, our train back home didn’t leave until 3pm, so we decided to try one last veggie place for lunch. We had been visiting with Moraq – originally from Chicago who has been living in Italy for the past 18 years. She’s the owner of the homey Casa di Barbano property on cross-pollinate and having two children, she was able to make some great suggestions of where I could get colored wigs for carnevale for our daughters. 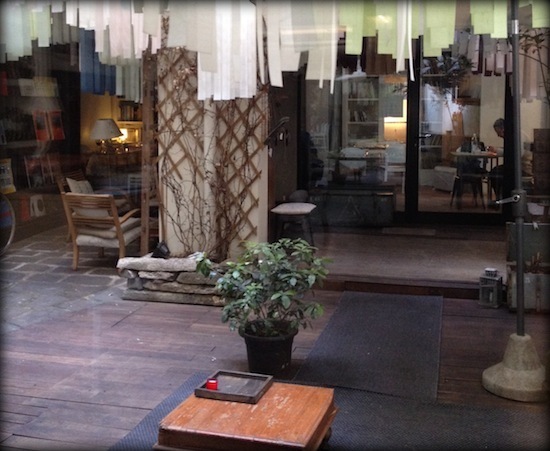 We were pleasantly surprised by how well put together both in terms of interior design and menus the vegetarian restaurants were that we visited in Florence. 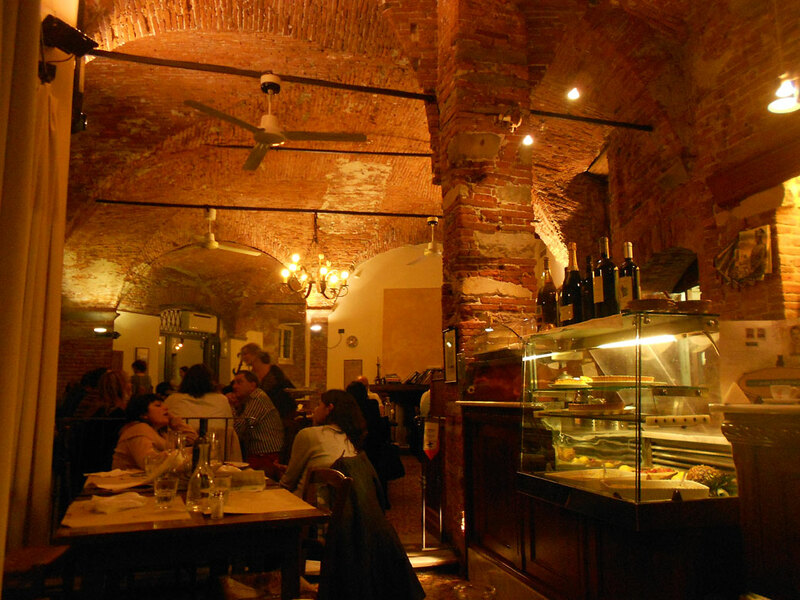 Each restaurant that we went to was always packed with people and had great atmospheres. All in all we had some wonderful meals and no complaints. 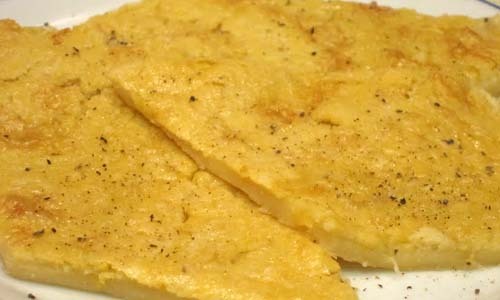 While every Italian restaurant has vegetables available (contorni) or pasta dishes that are meat-less – eating at a specifically Italian vegetarian restaurant will provide an excellent opportunity for anyone – vegetarians and non-veggies alike – to try interesting and creative dishes using the excellent produce that is available here in Italy. For many more recommendations on where to eat and drink in Florence I highly recommend Elizabeth Minchilli‘s smartphone app Eat Florence. Linda maintains her own blog for our hotel, The Beehive, at http://www.the-beehive.com/blog with practical and irreverent information, observations and musings on Rome.